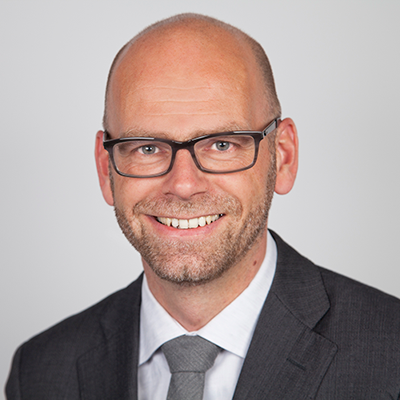 Wolfram Horstmann is the director of the Göttingen State and University Library (University of Göttingen) since 2014 and professor at the Institute for Library and Information Science (IBI) at Humboldt-University Berlin, teaching `Publishing` and `Digital Research`. Prior to his current position he was Associate Director at the Bodleian Libraries of the University of Oxford, UK. He is currently leading several strategic projects in the areas scholarly communication, open access, research data and digital transformation. He is executive member and Chair of the Steering Group on Scholarly Communication and Research Infrastructures for the European research library association LIBER and member of the Executive Board of the Confederation of Open Access Repositories (COAR). In the Research Data Alliance (RDA), he is member of the Organisational Advisory Board and engaged in several groups, e.g. “Libraries for Research Data” (founder and co-chair until 2017) and „Long Tail of Research Data“. He acted as advisor to several bodies and initiatives, e.g. the European Commission, the German Research Foundation DFG, or the Nature journal „Scientific Data“. Prior, he was Chief Information Officer for Scholarly Information at Bielefeld University, where he was responsible for strategic development of the institutional services for content, data and tools in research and education between 2007 and 2011. He has also served as European project manager for the State and University Library of Göttingen and as head of Publishing Services at the Academic Library Centre in Cologne. He is a biologist by training, having worked in the field of computational neuroscience, did a PhD in the context of Philosophy of Science before he actively turned his attention towards scholarly communication and libraries. Research libraries support faculty and researchers in managing and preserving research data as well as conceptualizing Research Data Management (RDM) Plans. Albeit new in some sense, this role is a direct offspring of the longstanding function of managing and curating academic information in research libraries. LIBER is supporting the transformation of libraries to properly fulfill this role by providing means for coordination, training and shared initiatives through its strategic actions, working groups, and participation in projects. The LIBER strategy for the years 2018-2022 makes a clear statement on Open Science and specifically focuses on RDM. The Research Data Alliance (RDA), with its standing fora and groups, developing and testing standards, products, and best practices play a major normative role for global alignment in this field. RDA itself has an Interest Group “Libraries for Research Data” where the interfacing between libraries and other stakeholders in RDM are addressed. It is one the largest groups in RDA and its outputs, e.g. the “23 Things” are among the most adopted, globally. Initiatives like OpenAIRE and EUDAT with their portfolio of data services, established best practices and training opportunities, support research libraries in their endeavors “on the ground”. Even more synergies between all initiatives will not only provide significant benefits for an already overlapping target audience but also complement their individual strengths, with an overall uptake of coordinated, supported, and applied solutions to RDM. Thus, in this time where open science is becoming a significant asset in the hand of research communities, questions of how initiatives of these kinds can most effectively collaborate to reach common goals require joint action.